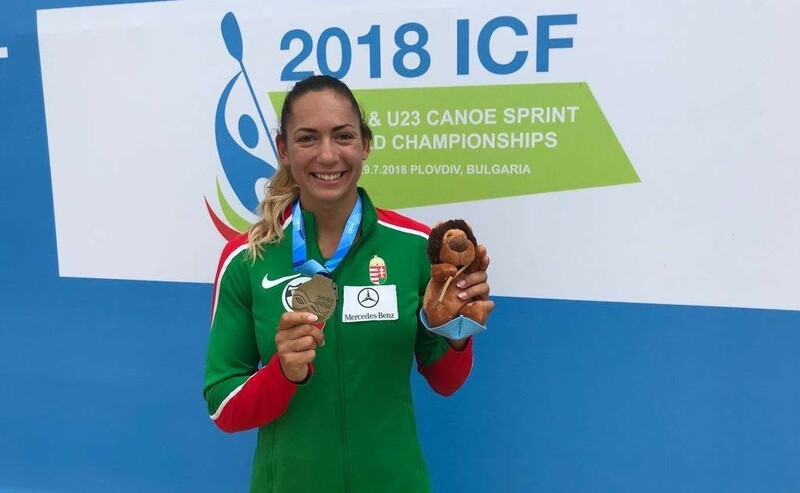 The 2018 Junior and U23 Canoe Sprint World Championships which was held in Plovdiv, Bulgaria, at a venue that hosted last year's senior ECA Canoe Sprint and Paracanoe European Championships, has ended with a great triumph of European teams, especially teams from Hungary, Germany, Belarus and Russia. Altogether 36 sets of medals have been given to the best young canoe sprinters and 30 World Champion titles remained in Europe. Hungary was once more the most successful nation of the Championships, winning sixteen medals, ten of them gold. German medal count stopped at the number fourteen, Belarus won twelve medals and Russia eleven. Slovakia ended the championships with a total of five medal, Czech Republic, Ukraine and Poland won four medals, Norway and Italy three each, Serbia, Spain, Lithuania, France and Romania are going home with two medals, while Sweden, Portugal, Moldova, Denmark and Great Britain won a medal. The remaining medals were won by athletes from other continents.